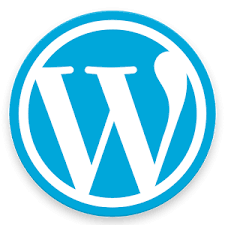 WordPress is a free and open-source content management system based on PHP and MySQL. To function, WordPress has to be installed on a web server, which would either be part of an Internet hosting service or a network host in its own right. WordPress is, by far, the most popular open source Content Management System (CMS), used by approximately 75 million websites. WordPress is free to install, deploy, and upgrade. Thousands of plugins and templates power a flexible and simple interface, which reduces development costs and deployment time. WordPress is an online, open source website creation tool written in PHP. But in non-geek speak, it’s probably the easiest and most powerful blogging and website content management system (or CMS) in existence today. WordPress is not only a PHP framework, but a framework bundled together with CMS which are dependent on each other. You can develop a CMS using framework, but you cannot develop a framework using CMS. WordPress is a free and open-source content management system (CMS) based on PHP and MySQL. WordPress was used by more than 29.4% of the top 10 million websites as of January 2018.WordPress is reportedly the most popular website management or blogging system in use on the Web, supporting more than 60 million websites. Automattic makes money on WordPress.com by selling advertising on your free sites. If you choose to pay for their hosting plans, then you get additional premium upgrades such as the ability to hide ads, purchase domains, additional disk space, commercial themes, etc.